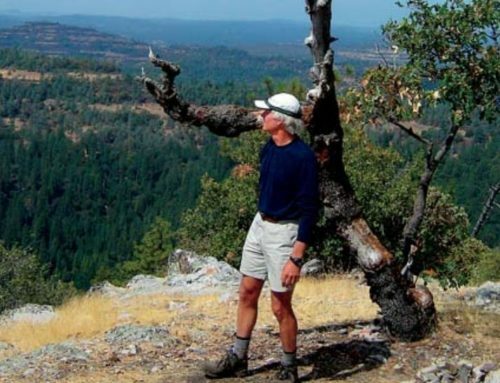 Watch the sunset from the top of Cougar Rock on this intermediate hike led by members of the Arnold Rim Trail Association. Distance is about 4 miles total, with 900 feet of elevation gain. If you haven’t done one of these hikes, you owe it to yourself to join the fun. They are scheduled to be near the day of the full moon each month, and they are special! 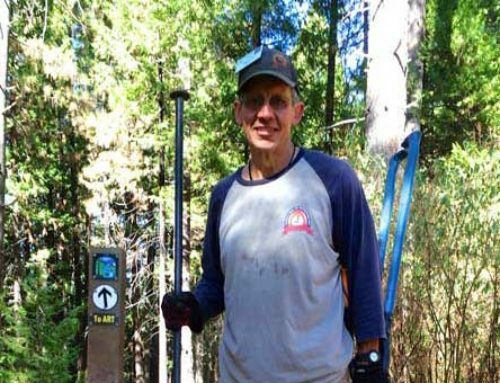 1) This is an intermediate level hike with 900 feet of elevation gain, the equivalent of a ninety story building. We take plenty of time with frequent stops. That said, it is not a hike for beginners. Please assess your level of conditioning. If you would struggle with a ninety story building, even with stops, please take a few weeks of regular training to make yourself ready. It’ll be worth the investment! 2) If this is your first time driving to the parking area, please do not approach on Valley View Drive from Avery Sheep Ranch Road. Instead approach by starting in Arnold and turning off Highway 4 onto Lakemont Drive, followed by a quick left turn onto Valley View Drive. More travel instructions are below. 3) Bring a headlamp or flashlight, bug repellent, a snack, water, and layers. The parking area is at the intersection of Valley View Drive and 5N95Y. Drive 1.50 miles on Valley View Drive from the intersection of Lakemont Drive and Valley View Drive in Arnold. The first mile of Valley View Drive is paved, and the last 0.45 miles is dirt. Pay close attention to stay on the paved section of Valley View Drive and not get off on one of the side streets, because Valley View Drive curves around quite a bit during that first mile while it is paved. Please note there is no sign announcing that you have arrived at the parking area at the intersection of Valley View Drive with 5N95Y, but you will see the dirt road 5N95Y coming in from the right and also the parking area with picnic tables at that location. Caution in wet weather: The last half mile of Valley View Drive is dirt and can be very slippery and muddy when wet, due to the clay nature of the soil. In fact, when slick and wet, it can be difficult for two-wheel-drive vehicles to climb back up the hill from the trailhead to the paved section of Valley View Drive after the hike, a hill that presents no difficulty whatsoever in dry weather. Here’s a link to Google Maps that shows the drive from the intersection of Lakemont Drive and Valley View Drive in Arnold to the intersection of Valley View Drive and Forest Rte 5N95Y. Questions? Email info@arnoldrimtrail.org. 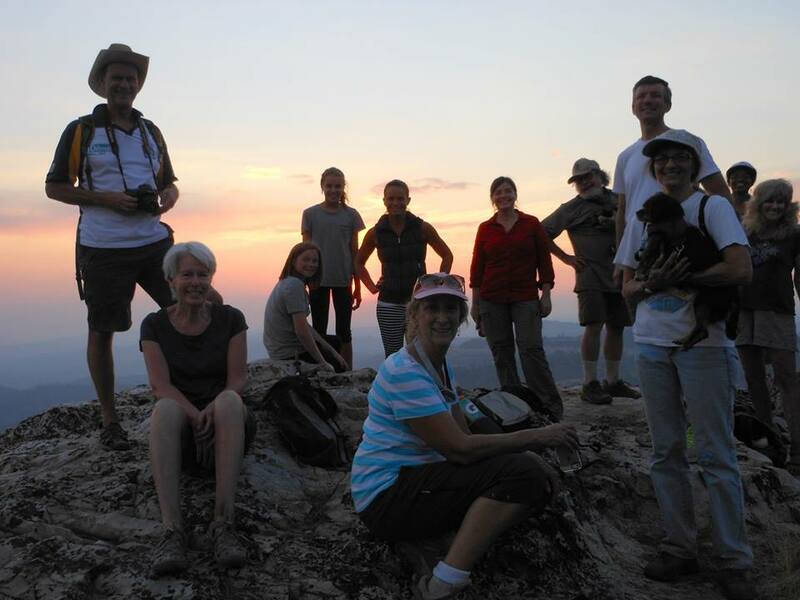 Pictures of the sunset hikes are often posted to the ARTA facebook page. 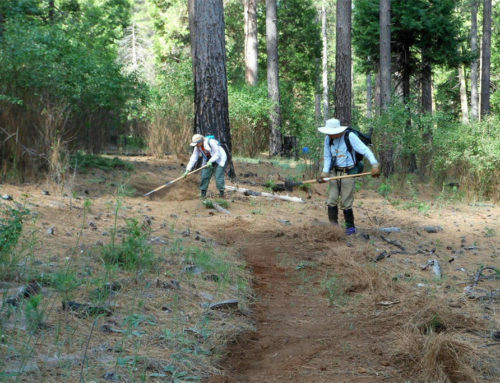 Navigate to “Arnold Rim Trail Association” in your Facebook search field.